A quick saute is all that is needed for this easy vegetable dish. 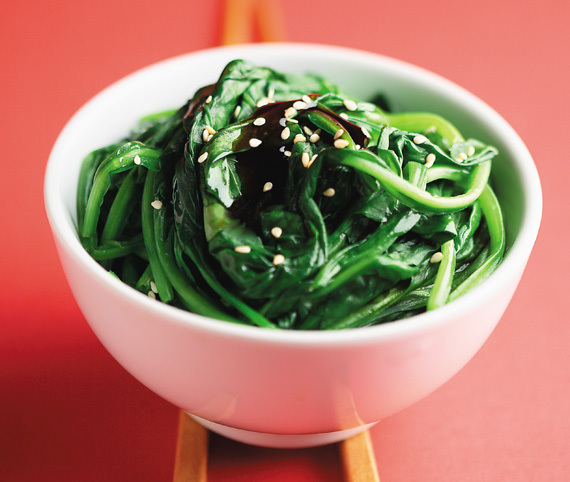 Spinach is packed with iron and antioxidants. 1. Heat canola oil in a sauce pan over medium high heat. Add spinach all at once. Gently heat and stir spinach just until it becomes limp, about 3 to 4 minutes. 2. 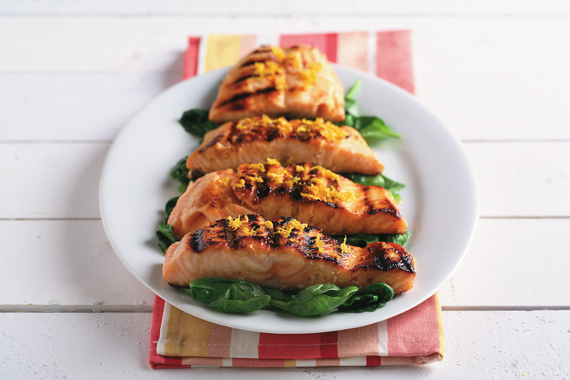 Place onto serving dish, drizzle with teriyaki sauce and sprinkle with sesame seeds. Serve immediately. 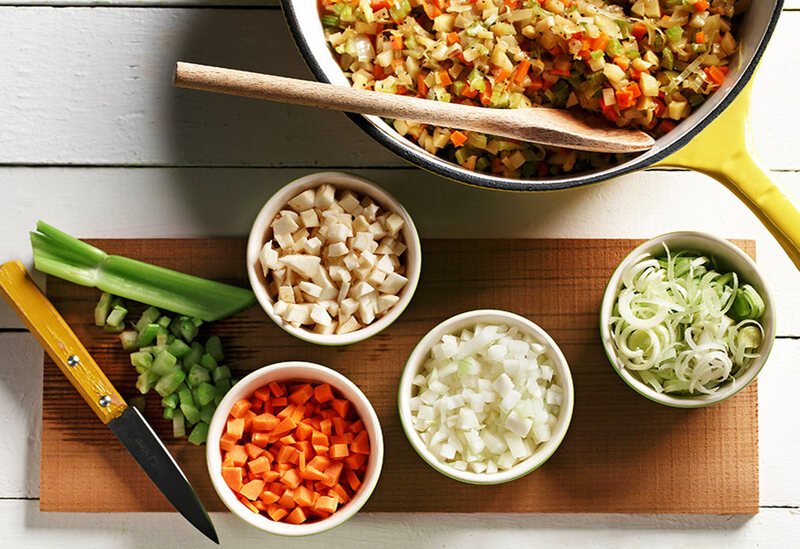 Mirepoix is the French name for a combination of onions, carrots and celery and with the addition of the flavors from parsnips, leeks, garlic all sauteed in canola oil, it is the classic start to any dish. 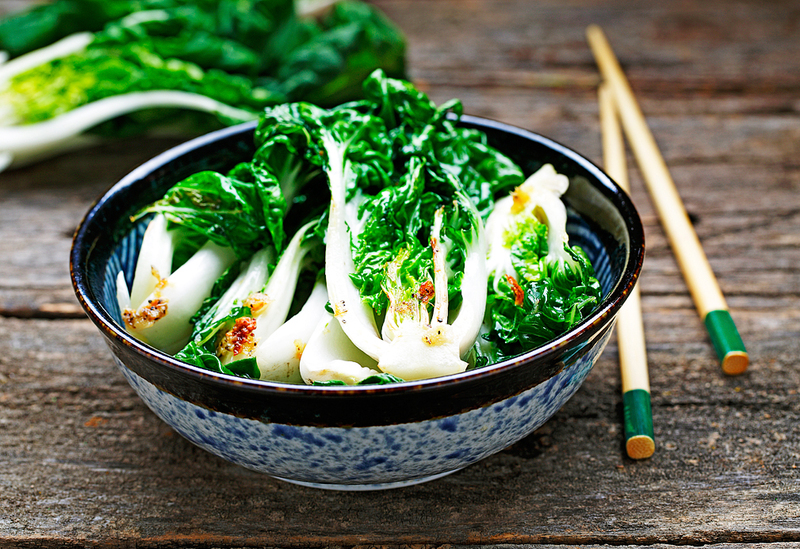 One of the most delicious ways to eat baby bok choy. A great side dish to any meal. The bok choy cooks very quickly, so watch it carefully.